Powerball’s $130 million jackpot was won by a New York resident last night. The jackpot is once again set to its $40 million starting amount for the upcoming draw. This was the 8th time this year that a Powerball jackpot of more than $100 million dollar was awarded. This happy occasion did have a less happy side to it. Why? Well, with this jackpot win, Powerball lost its head to head ‘battle’ with Mega Millions. 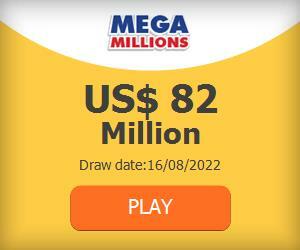 The Mega Millions jackpot still stands on an impressive $165 million. Can Powerball make up for it in a new run of rollovers? Other big winners include five second prize winners. One each from Florida, Iowa, Maryland, New Jersey and Pennsylvania. All of them missed out on the Power Play option, but still won a solid million each. Congratulations! Want to win your own Powerball prize? You can! Just start playing Powerball online today!